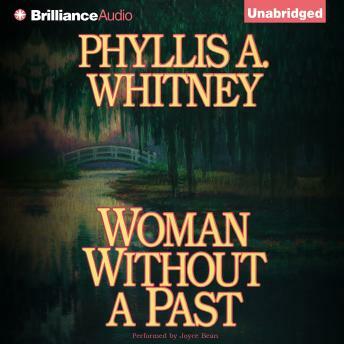 In her thirty-fifth novel of psychological suspense, Phyllis A. Whitney spins a spellbinding tale of a young woman's quest to uncover her true identity. Successful young mystery novelist Molly Hunt, raised by adoptive parents on Long Island, is stunned when a chance encounter leads to a startling revelation. She is apparently the daughter of the aristocratic Mountfort family of Charleston, South Carolina, kidnapped as an infant from their ancestral home - and has an identical twin sister. Travelling to Charleston, Molly meets her delicately lovely long-lost twin; her mother's stern cousin, now the family patriarch, doubtful of Molly's identity and suspicious of her motives; and his tiny, enigmatic wife, a psychic who channels the spirit of a man who died mysteriously on the Mountfort estate a generation before. As Molly searches for the truth of her own origins, she comes to realize that the secrets of her troubled family's past have a strange and powerful hold on the present. Her reappearance in the lives of the Mountfort clan sets in motion events that threaten the family's very existence - as well as her own. Not horribly written just very blah.